Employee stock ownership plans (“ESOPs”) provide for investment primarily in employer stock and are a means by which employees of publicly traded and closely held companies may acquire tax-favored ownership of company stock. ERISA’s fiduciary obligations (other than the duty to diversify) govern those who administer ESOP plans and, not surprisingly, the interplay between ESOP administration and management of the company’s business often gives rise to litigation. 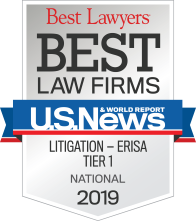 Companies must also navigate ERISA’s prohibited transaction rules, which prohibit ESOPs from transacting with the company, its officers and directors and any significant shareholders unless the ESOP receives (or pays) “adequate consideration” for the stock. Litigation surrounding ESOPs of closely held companies often relates to whether “adequate consideration” was received or paid for the company’s stock – i.e., whether the stock was properly valued. Our team regularly counsels employers and ESOP fiduciaries on matters of compliance with federal and state law, and strategies to reduce exposure to liability in the formation and administration of ESOPs. 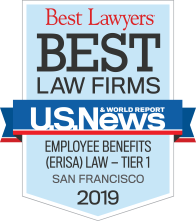 We also regularly defend companies and ESOP fiduciaries in litigation and governmental investigations relating to the establishment, funding, and administration of ESOPs. Recent cases have involved claims that the ESOP fiduciaries caused the ESOP to pay an inflated price for company stock and that corporate decisions allegedly affecting company stock value were a breach of fiduciary duty with respect to the ESOP. Solis v. Webb, eta/.(N.D.Cal.) Represented former company executive and alleged ESOP fiduciary in litigation brought by the Department of Labor challenging the price at which the ESOP purchased company stock, and certain corporate transactions allegedly impacting the value of company stock. Aggregate Transport and an individual fiduciary in this federal class action for breach of fiduciary duty in connection with the formation and administration of an ESOP. Represented ESOP sponsor and fiduciaries in litigation alleging breach of fiduciary duty, and prohibited transaction violations based on claims that the ESOP paid more than fair market value for company stock. Ninth Circuit in this claim for benefits brought by a former participant in an ESOP that terminated in 1982. Obtained summary judgment in defendant’s favor. For more information regarding this area of the Firm’s practice, please contact Brad Huss or Joe Faucher.